Atmospheric post-apocalyptic organized chaos with a tilted limping groove. What can I say? I like it! Intriguing, playful structures and a massive sound, that will keep your ears busy. This is progressive djent-ish metal with a groove and a nice ambience. 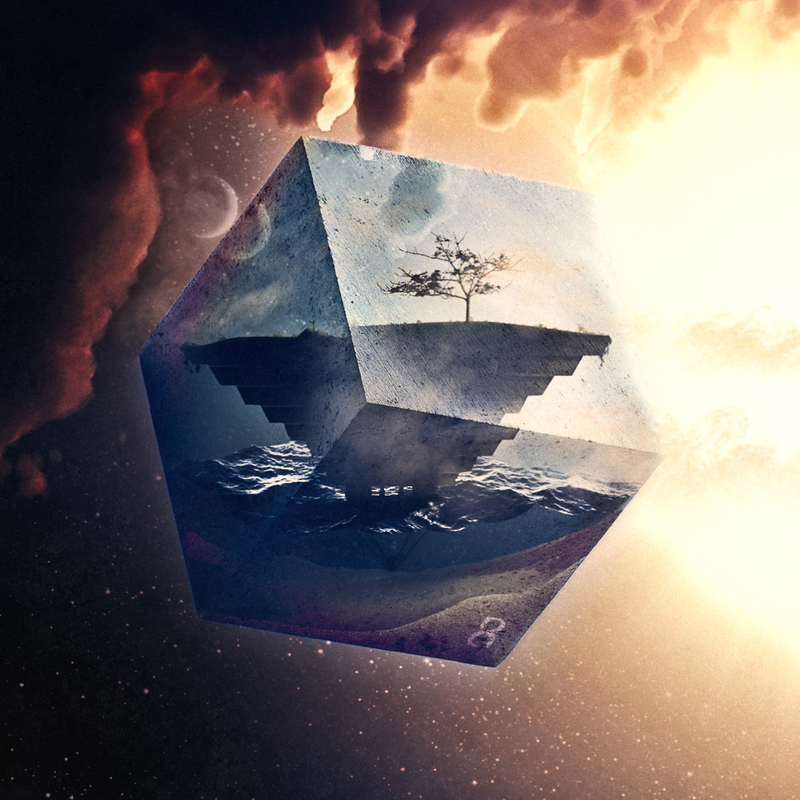 Djent can be hard and demanding/tiring to listen to, but Uneven Structure isn’t really djent, they are something more. It is distorted and fractured but all of the elements are headed in the same direction: forward and upwards! They manage to add enough soft breaks and variation to the otherwise demanding syncopated, polyrhythmic, off-beat, drive of the bass, guitars and drums to ease the listening experience. Extremely skillful playing as well as the songwriting and a crystal clear production all makes this a complete package. The vocal range also impress me, as it goes from rough harsh roars to fine-tuned clean singing. Dive down in the layers and let yourself be engulfed in the maelstrom that is 8.